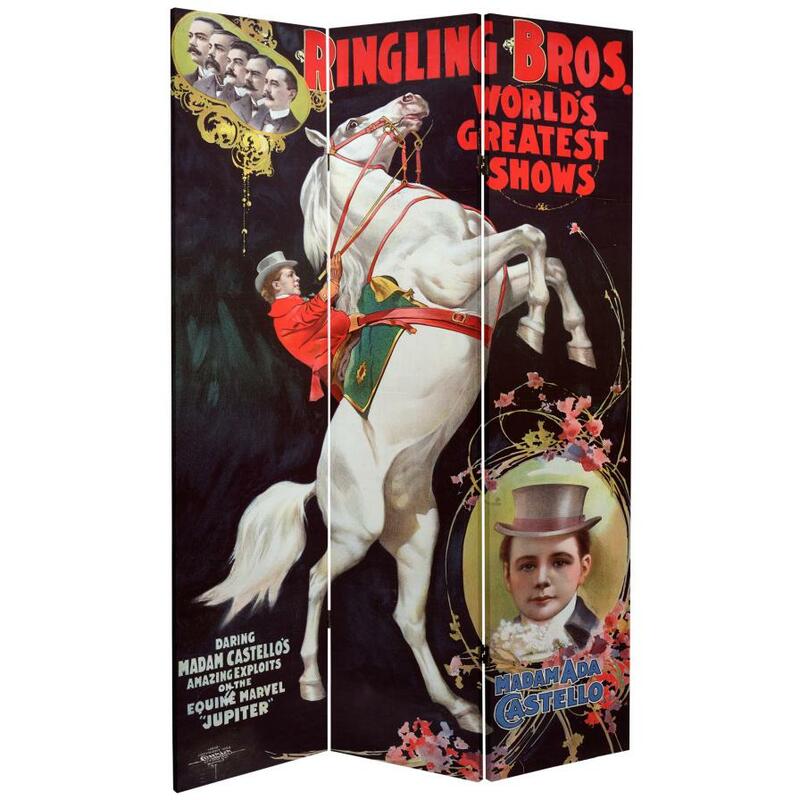 This eye catching screen features classic reproductions of vintage commercial graphic art. 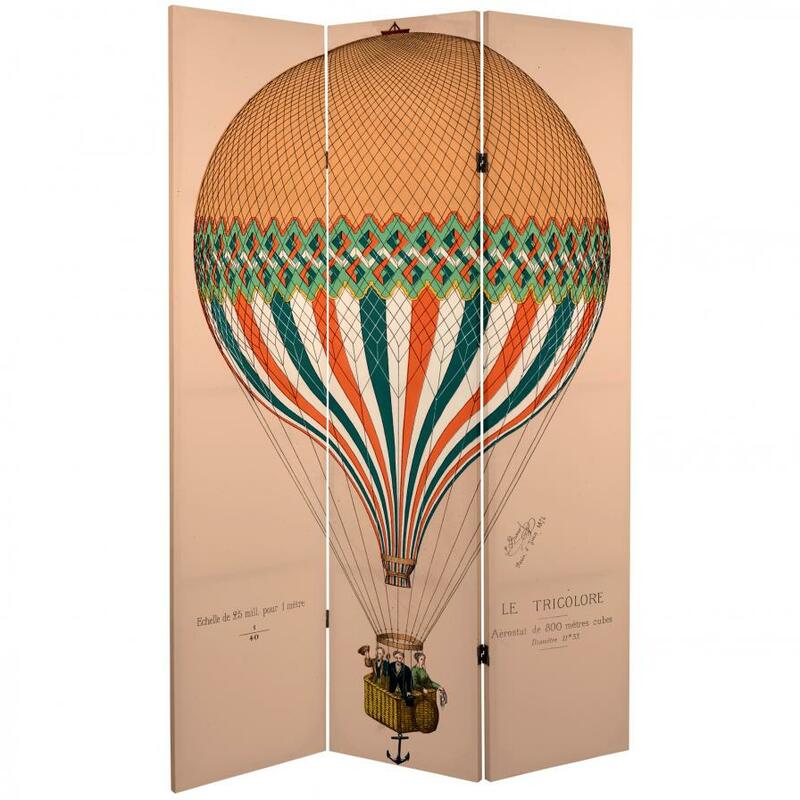 The front is a lithograph of the famous hot air balloon Le Tricolore. It features the signature of Jules Duruof, the daring balloonist who, along with his wife, had to be rescued at sea after Le Tricolore went down into the English channel. The back is an invitation to the Greatest Show on Earth, the Ringling Bros. Circus, before their merger with Barnum Bailey. Treat yourself to these unique, vintage interior design elements, perfect for your living room, bedroom, dining room, or kitchen. This three panel screen has different images on each side, as shown.